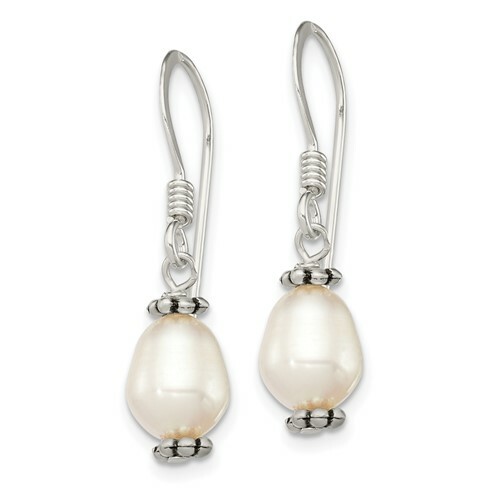 These white freshwater cultured pearl antiqued bead dangle earrings are made of sterling silver. Weight: 1.37 grams. Earring length: 1in. Import.